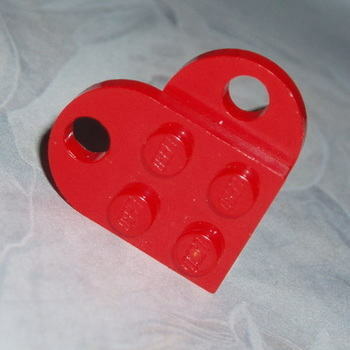 This fab and funky ring is made using 2 Bright Red 2 x 3 Lego Plates securely glued together to make a heart. The LEGO Heart is then attached to a silver plated ring base. Available in 2 ring sizes.